The ASUS VS247H-P 23.6" LED monitor combines tons of useful features to make it one of the best deals available. It all starts with the brilliant 1920 x 1080 Full HD resolution, giving more life to everything you do. The LED technology enables the ASUS VS247H-P to consume about %50 less energy than traditional monitors. With HDMI, DVI-D, and VGA connections, its compatible with almost all multimedia devices. 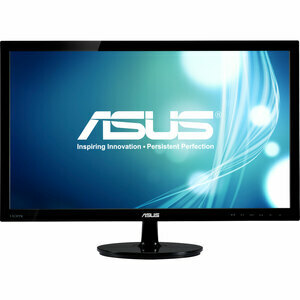 Product Description: ASUS VS247H-P, LCD display, TFT, 23.6"